PITTSBURGH (AP) — His team stuck on the fringe of the playoff race — not quite in it and not quite out of it — Pittsburgh Pirates general manager Neal Huntington spent the hours leading up to the trade deadline weighing both blowing up his roster and moving on to 2018 and making a splash in an effort to make inroads on the Chicago Cubs. In the end, Huntington did neither, a testament to both a somewhat tepid market and Huntington’s belief that the Pirates aren’t quite ready to bail on 2017. Pittsburgh sent reliever Tony Watson to the Los Angeles Dodgers in exchange for a pair of prospects and acquired reliever Joaquin Benoit from Philadelphia but otherwise stood pat. So Andrew McCutchen is still a Pirate. Gerrit Cole and Juan Nicasio too. Proof, Huntington said, the team remains optimistic it can make a run at the National League Central. Pittsburgh was off Monday and sits at 51-54 and 5½ games behind the Cubs heading into a week-long homestand against Cincinnati, San Diego and Detroit beginning on Tuesday. Pittsburgh received minor league infielder Oneil Cruz and minor league right-hander Angel German from the Dodgers for Watson. The 32-year-old was an All-Star in 2014 but lost his job as the team’s closer to Felipe Rivero following consecutive blown saves in June. Watson will also become a free agent at the end of the season and was unlikely to re-sign with the Pirates. So rather than hold onto him, the Pirates flipped Watson for the 18-year-old Cruz and the 21-year-old German, then filled Watson’s spot on the big league roster by acquiring the 40-year-old Benoit and cash from the last-place Phillies for minor league pitcher Seth McGarry. While Huntington said the club had “lots of different discussions about a lot of different players” he declined to get into specifics. “We still like the core of this club, like the depth and quality of rotation, depth and quality of position group,” Huntington said. A core that still includes McCutchen. The Pirates shopped their five-time All-Star centerfielder in the offseason but couldn’t find a trade partner. The 2013 NL MVP has shrugged off a slow start and is hitting .292 with 22 home runs and 60 RBIs, including three home runs in a victory over San Diego on Sunday. McCutchen has a team option for $14.75 million next season. The Pirates appear to be in no rush to reach any consensus on McCutchen’s future. “I would anticipate we’ll make the decision when we feel it’s appropriate,” Huntington said. 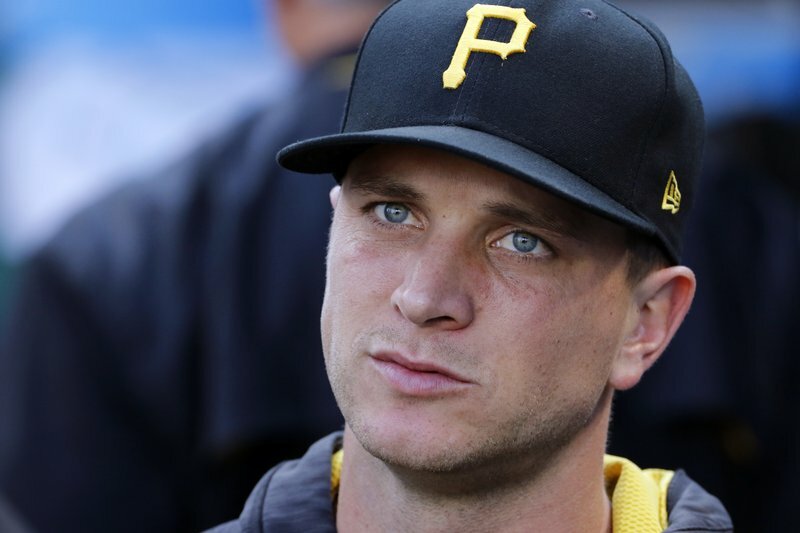 Huntington thanked Watson – who was a fixture in a setup role as the Pirates ripped off three straight postseason appearances from 2013-15 – for being a “stable force” in Pittsburgh’s bullpen. Both Cruz and German are long-term projects at this point. Benoit is 1-4 with two saves and a 4.07 ERA in 44 appearances for Philadelphia. He’ll join a team that is running out of time to make any sort of inroads this season, but one Huntington stressed is moving in the right direction.